ZMA is one of the most talked-about sports supplements on the market. It gets hyped up for being able to improve sleep, boost testosterone levels, increase energy, and much more. However, the science behind ZMA supplements isn’t so cut and dry. Here is what you need to know about ZMA before supplementing. 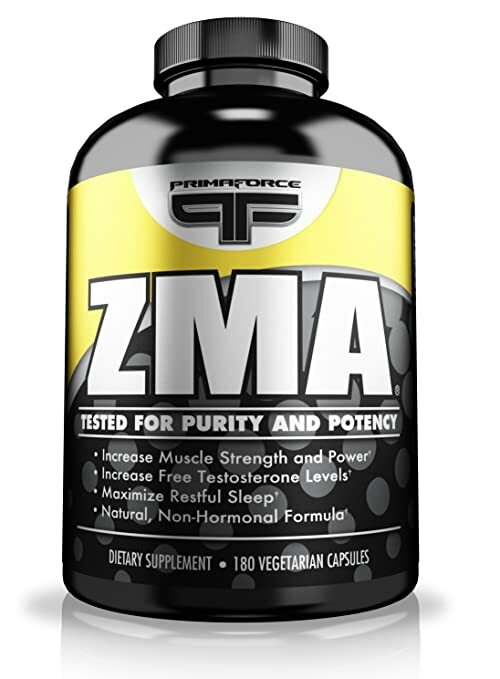 At first, all ZMA supplements can seem the same. They all have the same ingredients and amounts (30mg of zinc aspartate, 450mg of magnesium aspartate, and 10.5mg of B6). All ZMA supplements are also formulated as capsules. 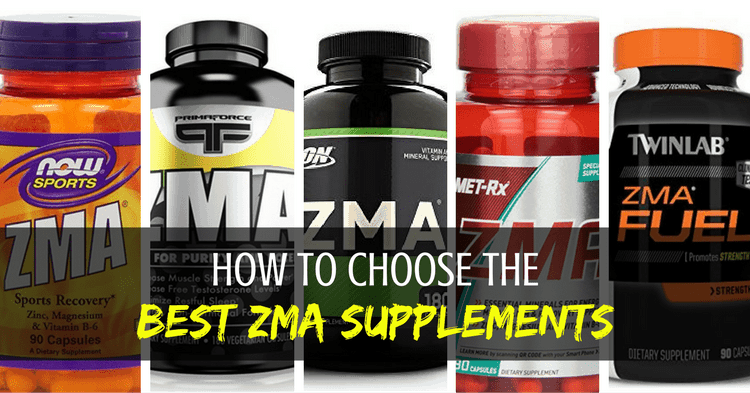 So, what makes one ZMA supplement different from another? It really comes down to the quality of the ingredients. 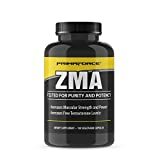 For this, you’ll have to check out the reputation of the company making the ZMA supplement. Optimum Nutrition is one of the major supplement manufacturers in the world. Their ZMA supplement is made in the USA in Illinois. Their facilities are state of the art and the company does a good job of controlling quality. 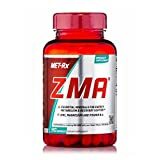 Because they are such a large, popular manufacturer, they are able to sell a quality ZMA supplement at affordable prices. The NOW brand has been around since 1968 and is currently one of the most reputable manufacturers of affordable supplements. Unlike a lot of other cheap supplement makers, NOW actually maintains their own facilities, which means they control the quality of the products. PrimaForce is a lesser-known supplement manufacturer, and they don’t give out too much information about their production and testing procedures. However, a lot of users are very happy with PrimaForce products. They only sell their ZMA supplement in 180 counts, which is why they can keep the prices so low. 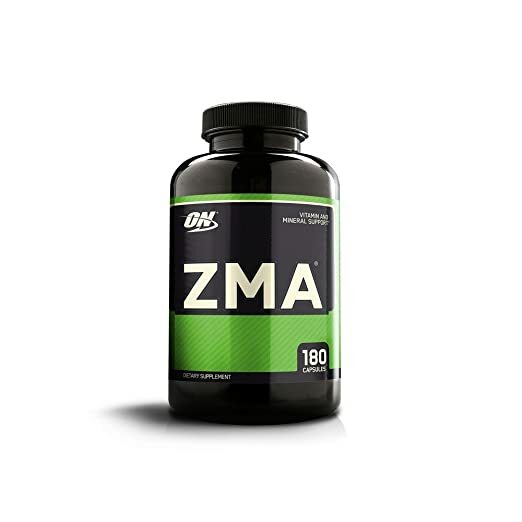 If you want a super-cheap ZMA supplement that is still great quality, this is a good pick. Twinlab has been around since 1968 and has grown to a huge vitamin and supplement manufacturer. They own many other popular supplement brands too (including NutraScience Labs). They have a manufacturing plant in Utah. However, they don’t guarantee that all of their products are produced there. Note that this ZMA supplement is a bit pricier than the others. Basically, you are paying for the reputation of the Twinlab brand name. MET-Rx has been around for 20+ years and is probably best known for their meal replacement bars. While they don’t guarantee the same level of quality as some of the other ZMA supplements reviewed above, their ZMA is made in the USA. They get great reviews from users and are very affordable. If I had to choose just one best ZMA supplement, I’d go with the NOW brand ZMA. Not only is the product made in the USA under the highest quality standards, it is also one of the cheapest ZMA supplements you’ll find. You can’t go wrong with this blend of quality and affordability. 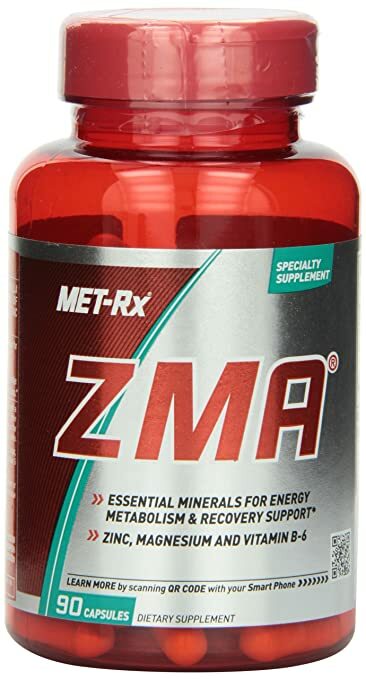 ZMA is the patented name for a formula of 30mg zinc monomethionine aspartate, 450mg magnesium aspartate, and 10.5mg vitamin B6. The formula was created by Victor Conte in the late 1990s. Any supplement can contain zinc, magnesium, and B6. However, in order for the supplement to market under the name ZMA, it must get approval from SNAC Systems, the company which holds the ZMA trademark patent. Thus, you can find “zinc-magnesium aspartate” supplements on the market with the exact same ingredients and amounts as ZMA. However, without approval, they can’t be labeled ZMA. 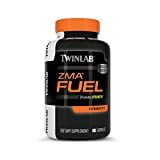 Even though ZMA is really popular and many athletes swear that it is their favorite supplement, there is actually very little research about ZMA. The study which always gets cited as evidence for ZMA is this one by Western Washington University. 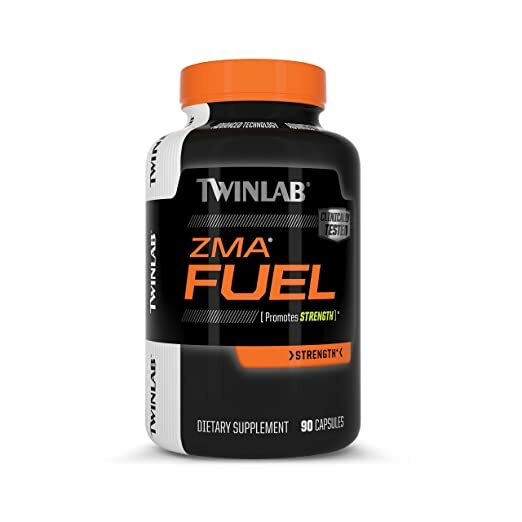 During the study, NCAA Division II football players took ZMA for 8 weeks. 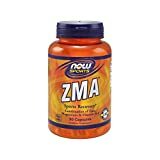 The players taking ZMA had 2.5 times greater muscle strength gains than those who did not take ZMA. While the ZMA formula hasn’t been extensively studied, the individual components of ZMA have each been highly studied. Each of the ingredients can have huge health benefits, especially if you are deficient in zinc or magnesium (which many people are). For athletes, magnesium is incredibly important for both anaerobic and aerobic energy production. It is also involved in recovery, so even mild deficiencies of magnesium can affect your gains. B6 deficiency is rare in the developed world, but athletes might still benefit from taking it. Athletes have higher nutrient requirements to support their active lifestyles, and they often sweat out a lot of their B6. These are just some of the benefits of B6 for athletes. Various studies have found that taking ZMA can increase testosterone levels, which in turn will help you get more muscle gains. However, whether or not ZMA will boost testosterone largely depends on whether you are deficient. To make growth hormone, your body needs zinc, magnesium, testosterone, and insulin. In this way, taking ZMA can help boost growth hormone and thus athletic performance. Zinc and magnesium are also important for counteracting cortisol (the stress hormone), which is known to lower growth hormone. The commonly-cited ZMA study done with NCAA athletes found that taking ZMA did increase muscle gains. Beyond this study, there is tons of research on how zinc and magnesium help build muscle tissue and aid in repair. The good thing is that these benefits seem to occur regardless of whether you are deficient in zinc or magnesium to begin with. Here is where ZMA absolutely comes through. The magnesium in the ZMA formula is required to calm down cells and nerve receptors. 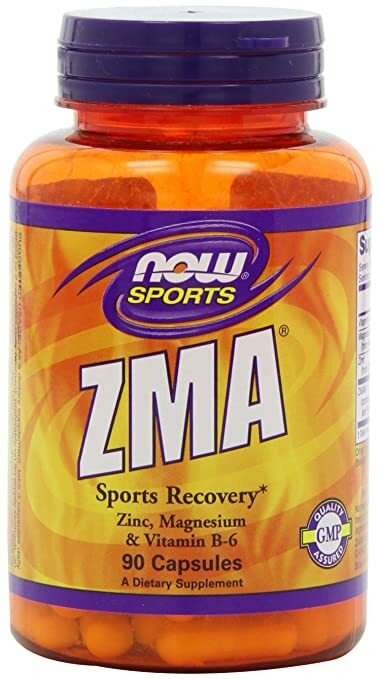 Athletes and people doing intense exercises: The ZMA will help you increase gains and recover faster. A lot of athletes swear by it. Aging people: Age causes a lot of sleep-related problems. As you age, taking ZMA can help you sleep better and also have more energy. 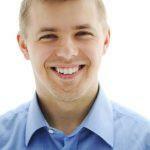 People with nutrient deficiencies: Lots of people are deficient in zinc and magnesium. Have your levels checked. If deficient, talk to your doctor about taking ZMA (and any other nutrients you are lacking!). People who want a nutrient “insurance”: Taking ZMA can act as insurance for days when your diet is less than ideal. ZMA should be taken approximately 30 to 60 minutes before going to bed. Take ZMA on an empty stomach so it is absorbed while you are sleeping. Avoid taking ZMA with calcium because it will interfere with the absorption of zinc. Some zinc-magnesium aspartate supplements contain other ingredients to provide an extra boost. You can also make your own ZMA stacks by taking additional supplements. Creatine and Glutamine: This is especially good as a strength stack. The creatine helps recovery, glutamine helps increase testosterone levels and aids in sleep. The B6 in ZMA converts creatine to creatine phosphate so you utilize the stack better. HMB: When stacked with ZMA, this is great for fueling you through high intensity (HIIT) training and aiding in recovery. Tribulus Terrestis: This herb has been studied and has been shown to increase levels of luteinizing hormone, which in turn triggers testosterone growth. This is great for boosting strength. The most common side effect of ZMA is weird, vivid dreams. A lot of people who take ZMA will report this. Aside from the weird dreams, there aren’t known risks or side effects of ZMA. However, taking too much magnesium can cause diarrhea. High amounts of B6 can result in nerve damage. Taking too much zinc can interfere with copper absorption. Very high dosages of ZMA can mess with your cholesterol levels as well.